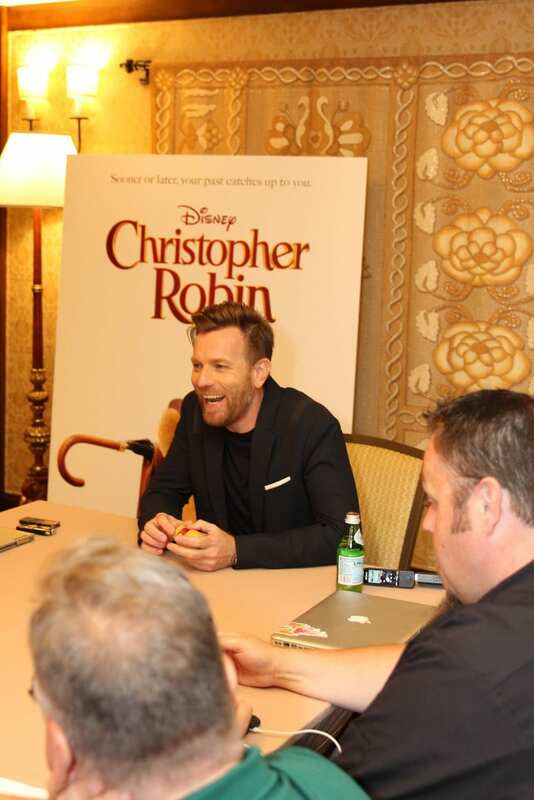 Ewan McGregor on Playing Christopher Robin, His Co-Stars, and More! 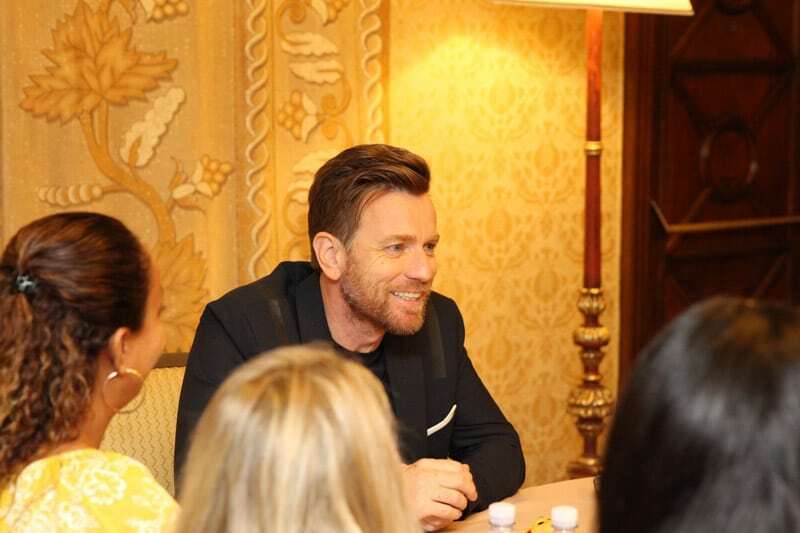 You are here: Home / Entertainment / An Interview with Ewan McGregor on Christopher Robin, His Co-Stars, and More! 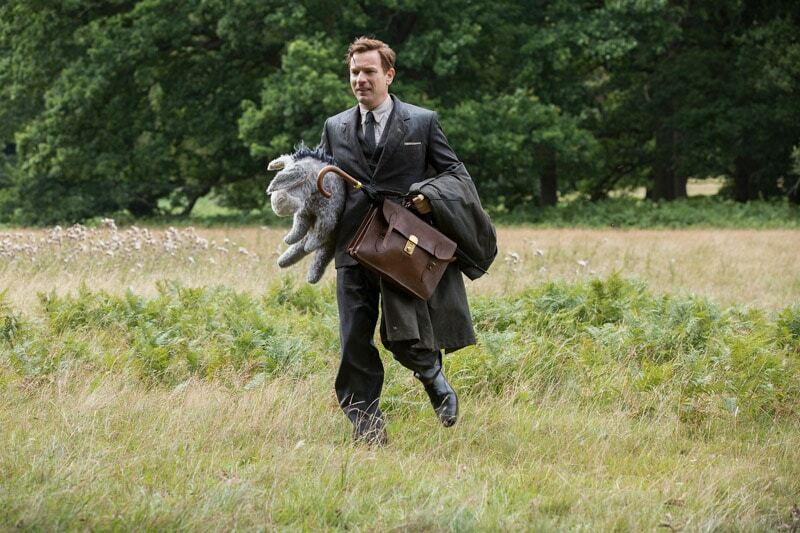 Find out how Ewan McGregor felt about playing the iconic role of Christopher Robin, what some of his takeaways from the film were, and what it was like acting with stuffed animals in this exclusive interview with Ewan McGregor! 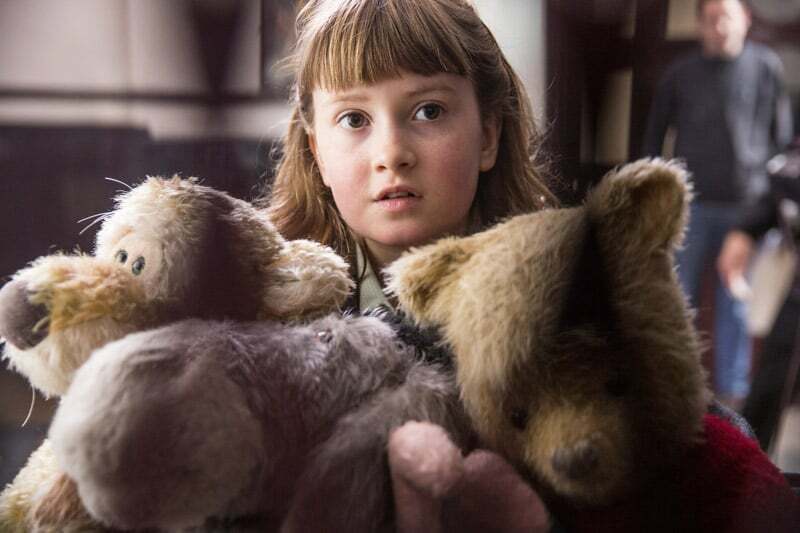 When I first found out I’d be getting the chance to interview some of the talent from Disney’s new movie Christopher Robin, my heart skipped a beat. Or maybe it started singing Come What May, who knows. We didn’t even have our interview list yet. 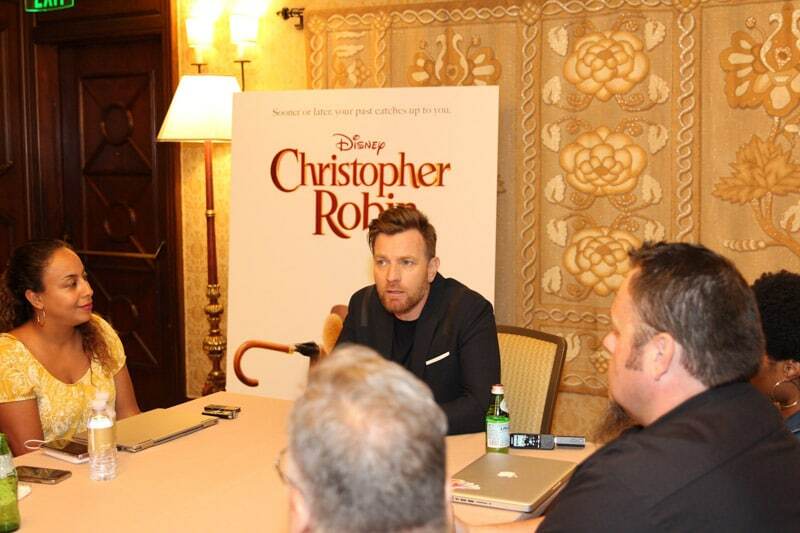 Then I found out that we would be interviewing Ewan McGregor, Christopher Robin himself. Cue the screaming. And singing. And more screaming. 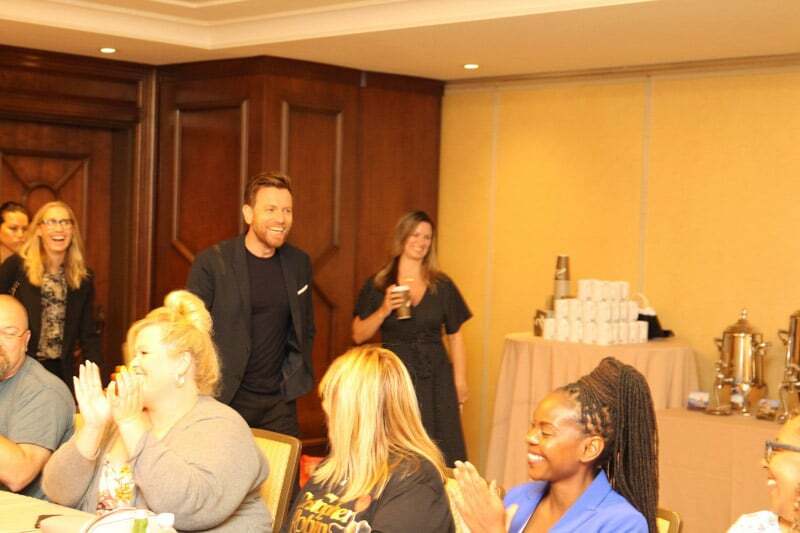 You guys, not only did I get to interview Ewan McGregor – I sat right next to him. 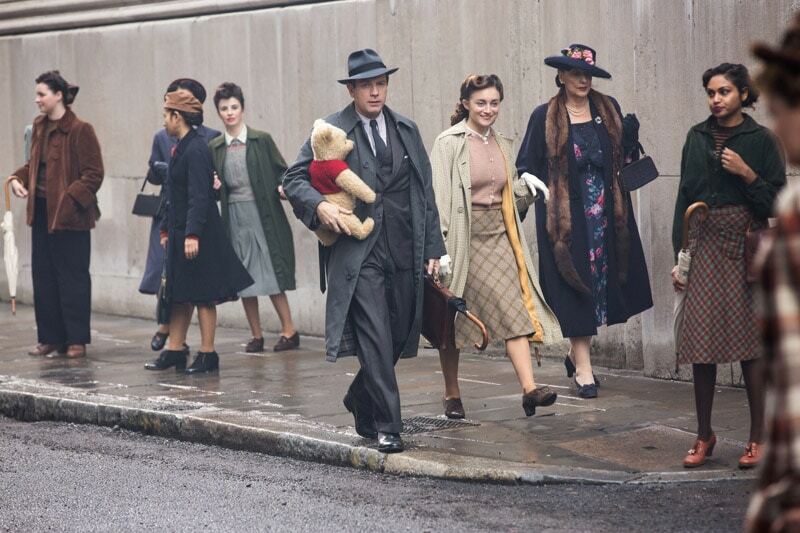 (And walked the same Christopher Robin red carpet as he did but that’s a different story). And he was just as amazing as I thought he’d be. Entrancing might be a better word. I think my favorite part of the interview was when he noticed me trying to get a question in (other people were asking questions too), and he turned and looked at me (maybe pointed, I don’t remember) and waited for me to ask my question. Swoon. And let me just say, it’s a good thing I had an audio recording of the interview because I don’t remember much other than his laugh, smile, and accent. 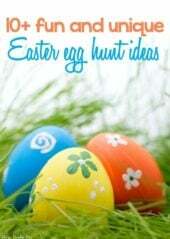 Everyone knows and loves Winnie the Pooh and the other characters in the 100 Acre Wood. We started out the conversation by asking Ewan a few questions about how he became Christopher Robin and why he took on the role. 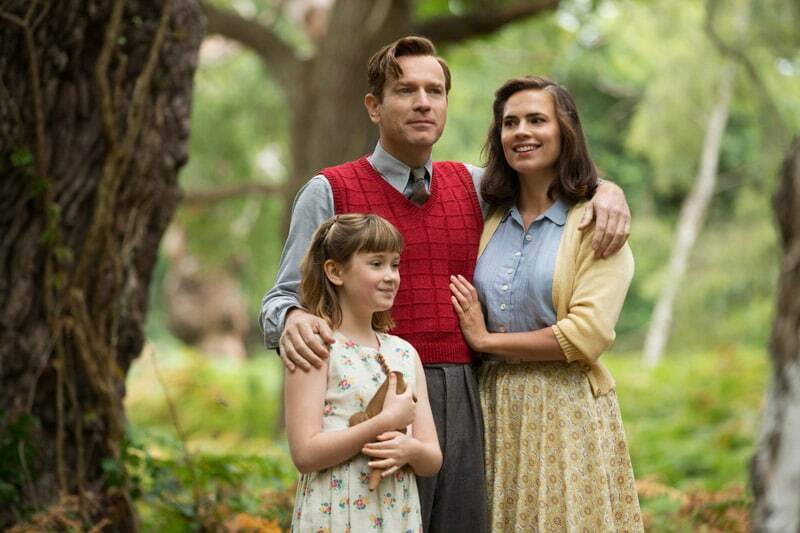 How Did Ewan McGregor Get Involved with Christopher Robin? Ewan actually made a film with director Marc Forster a while back called Stay, and they’ve stayed friends for a while. 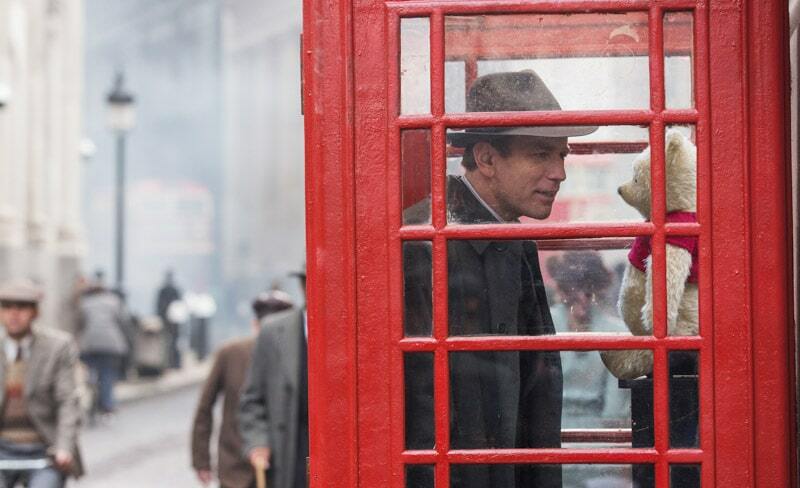 Christopher Robin gave the two of them the perfect opportunity to work together! Was Ewan Nervous About Taking on Such an Iconic Movie? Rather than try and paraphrase this one, here’s Ewan’s actual answer, which I absolutely love! 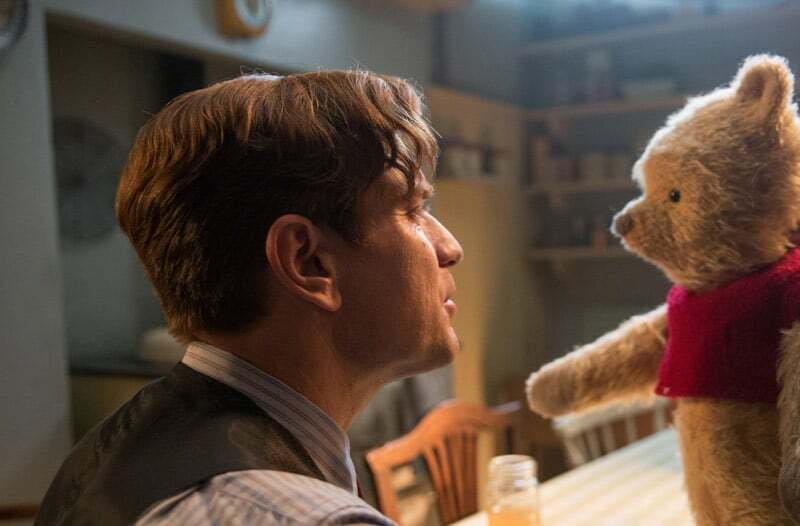 I suppose nobody really knows about what – I mean we know the story of the real Christopher Robin – but what I, nobody really knows about Christopher Robin as a forty hmm year old man, so I didn’t have any, you know, I just felt like. And also, when I read the script, I felt like I knew him, I just knew him. I don’t know – some parts come along just – I felt like it was just the right part for me to play at this point, in this time. And then felt like I absolutely knew what I wanted to do with him. So I didn’t have a lot of trepidations. I think anything makes you sort of – any of that kind of fear is usually a good – it’s a good idea to do. It’s better to do stuff you’re sightly scared of than not. If only we could all be that brave to do all the things we’re scared of! 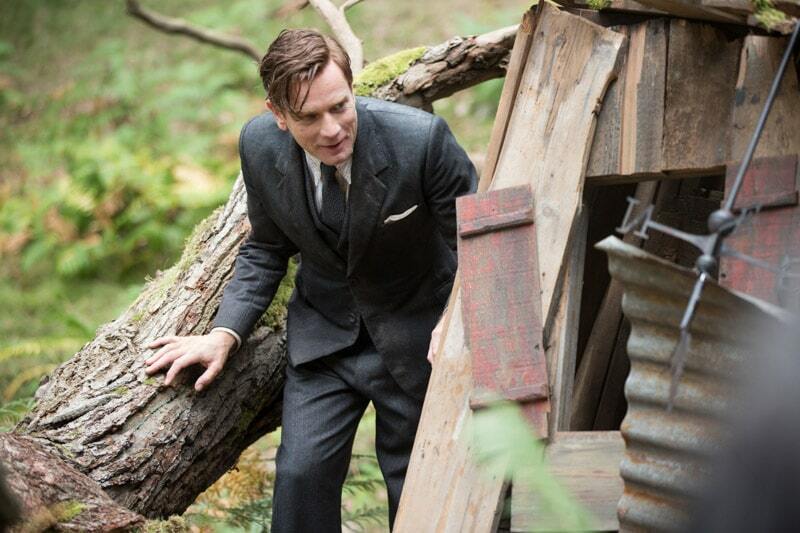 I know it’s probably because I’ve seen the movie and seen Ewan play Christopher Robin but it just feels right to me – he was made to play this role. I loved him in it! 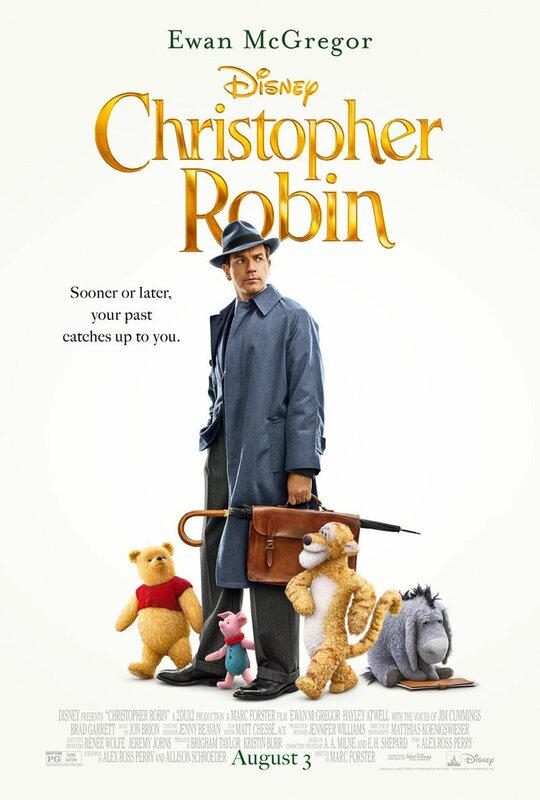 In the heartwarming new live action adventure movie CHRISTOPHER ROBIN, Ewan McGregor stars as Christopher Robin. 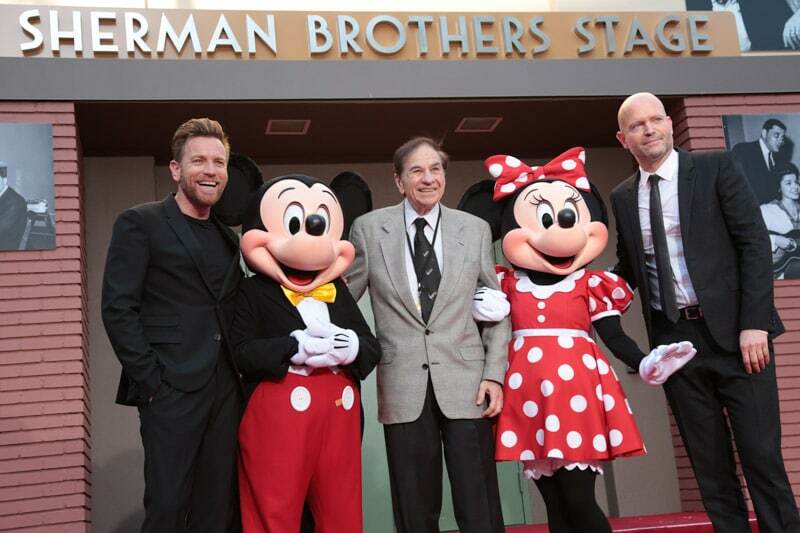 Ewan didn’t just take home one of the Winnie the Pooh stuffies from the film, he also took home quite a bit else. What Will Ewan Remember Most about Making This Movie? When we asked what made working on this movie unique compared to the other movies he’s worked on, he told us really two things – working with director Marc Forster who gave him the freedom to make magic happen. 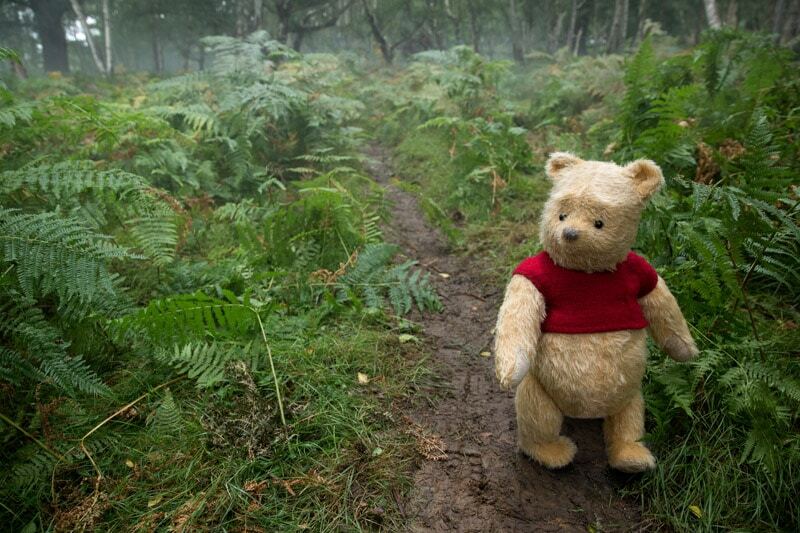 And second, being able to shoot in beautiful places and hang out with Pooh all day. If I didn’t know how hard they were working, it’d almost seem like they really did nothing making this movie – the best things come from nothing right? What Message Should We Take Away from the Film? This is my favorite part of the entire movie – the message. 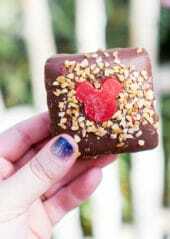 And this one has lots of them but Ewan hit on the biggest one during our interview. I think it’s just about connection isn’t it, it’s about being available to each other and being there, being present. Ewan went on to tell us about how Christopher Robin’s relationship with Madeline made him think about his own dad and his dad’s relationship with his father because Ewan’s dad was born in 1941 right about the same time Madeline would’ve been born. And how he didn’t think his dad and his father had the same closeness that he has with his own children because that’s just not how men were back then. Next up was all about his unconventional co-stars – kids and stuffed animals! I wish I’d been on set to see some of this magic happen! 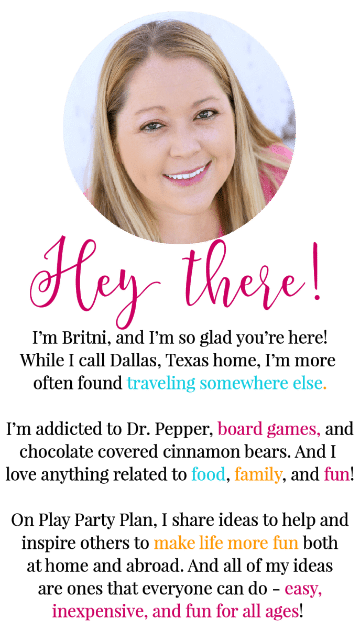 What Was It Like Working with Bronte Carmichael? 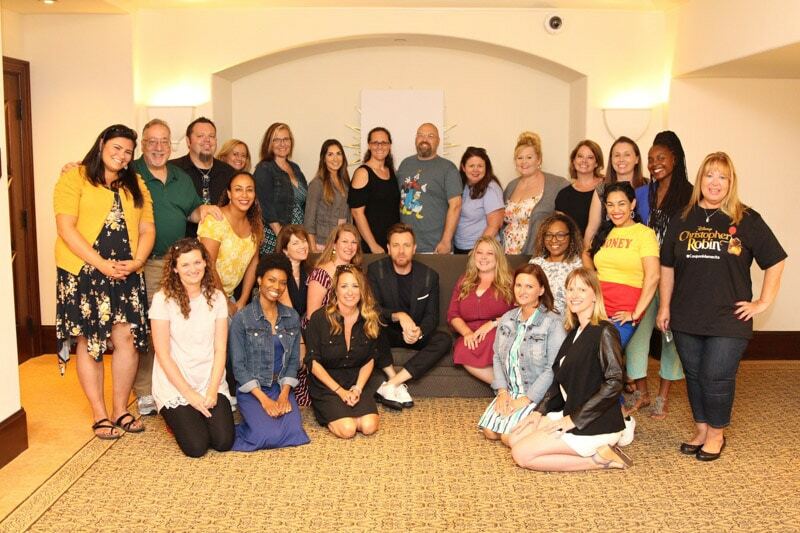 As we talked to Ewan about the message of relationships and closeness in the film, he mentioned how hard it was to be cold to Bronte during the movie. I found it quite difficult the first the early scenes with Bronte, who’s so lovely that little girl, she’s a great actor and a lovely little girl. And she’s not really spoiled by it in any way, she’s got great parents – her parents are both actors. But she’s totally a little girl and she’s not like a little starlet. She’s not, she hasn’t got any pretensions at all – she’s lovely. And so those scenes at the beginning when I’m reading her a story and I go to tell her that I can’t come for the weekend and stuff, it was difficult. 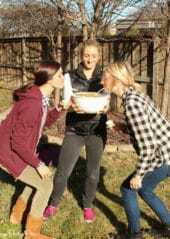 I knew I wanted to be cold with her; it was quite difficult to do. My instincts were not that. We had the chance to interview Bronte as well and I’m with Ewan on this one, she’s perfectly lovely. I just wanted to give her a big hug, tell her she did an amazing job, and play stuffed animals with her all day! Look for that interview coming early next week. What Was It Like Acting with Stuffed Animals? Before Hayley and Ewan described the process of working with the stuffed animals, I had no idea it was so complicated. To make it easier on the actors and on the various departments creating the scenes, they shot each scene various times to be able to figure out what it felt like to play the scene. They started it off with what Ewan called a brilliant move by director Marc Forster, acting the scenes with a band of young actors (most just out of drama school) who were perfectly cast for the parts. 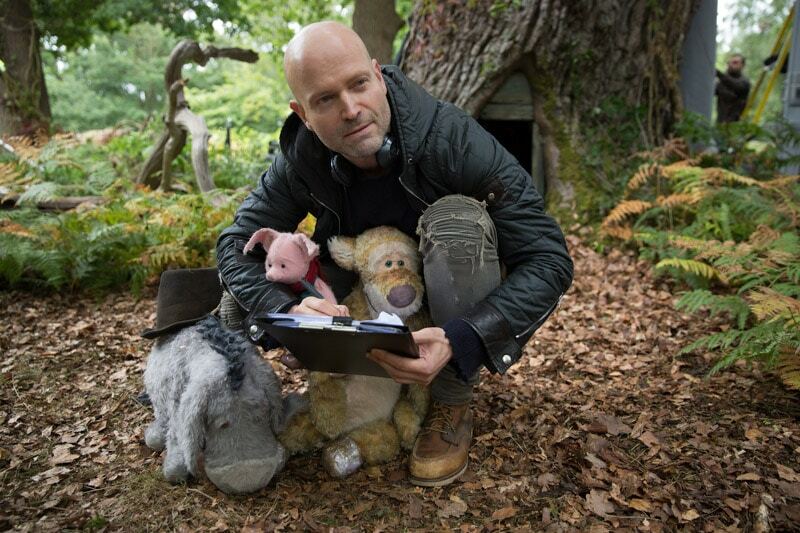 Once they were comfortable with the scenes, they would move on to the next stage which would be working with “stuffies” or teddy bear versions of the characters that looked like the ones in the film. And then the fun began as they’d replace the beautifully made teddy bear with a gray canvas versions with no hair (the visual effects people couldn’t use hair) and very few details. They apparently also had versions without heads, ones without limbs, and a Pooh that was just a little tummy. And finally, they’d do the scenes without the bear at all. Throwing the lines in playing the scene with you. And also you could ad lib with them, they were good actors, they would make stuff up and if you went off script, so would they. And it was really great. And then I don’t know that it would feel so realistic had it not been for their input, because they were so enthusiastic and such good actors. And they were all really well cast. Like they became more like their creatures the more and more we went on. Like the guy that played Eeyore just became more maudlin but by the end he was really quite upset. Who Was Ewan’s Favorite Winnie the Pooh Character in the Movie? It’s funny because we basically asked all of the talent this same question and they all gave a similar answer – all of them. How do you choose one? But Ewan went on to explain that while he doesn’t have a favorite, he really loves Pooh, or as Ewan put it, his little sidekick. He also loves Eeyore because his glumness makes you so happy, and surprisingly enough Kanga for her calming mum presence during a hilariously tense scene during the movie. He also mentioned that while he remembers knowing both the British versions and the Disney versions of the classic Winnie the Pooh tales, he couldn’t come up with a specific one that he loved the most. 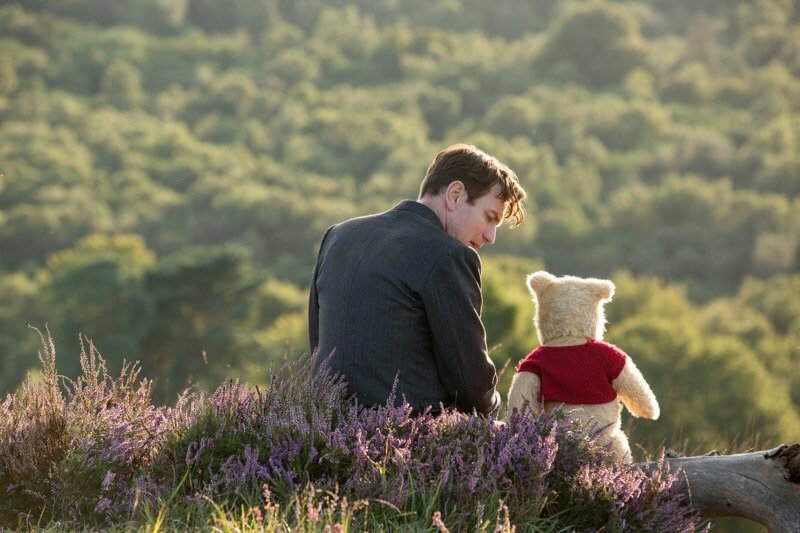 What Were Ewan’s Favorite Scenes in Christopher Robin? It’s actually really interesting that when we asked Ewan about his favorite scene and then again about his favorite line in the movie, they both had one common theme – apologies. I won’t go into them in detail so I don’t spoil anything in the movie but if that doesn’t say something about the message of love and relationships in this film, then I don’t know what does. Photo Credit: Louise Manning Bishop – MomStart.com – that’s my head right there, proof I was there! I tried my best to come up with a question to convince him to sing just a little line for us and no luck. He doesn’t (spoiler alert) sing in Christopher Robin, even though Kristin Burr hinted he might in our interview with her, so it didn’t make any sense to ask. I did, however, get the chance talk to him and sit next to him. And I have the interview recorded on my phone to listen to any time I want – his accent is even more amazing in person than in the movies! 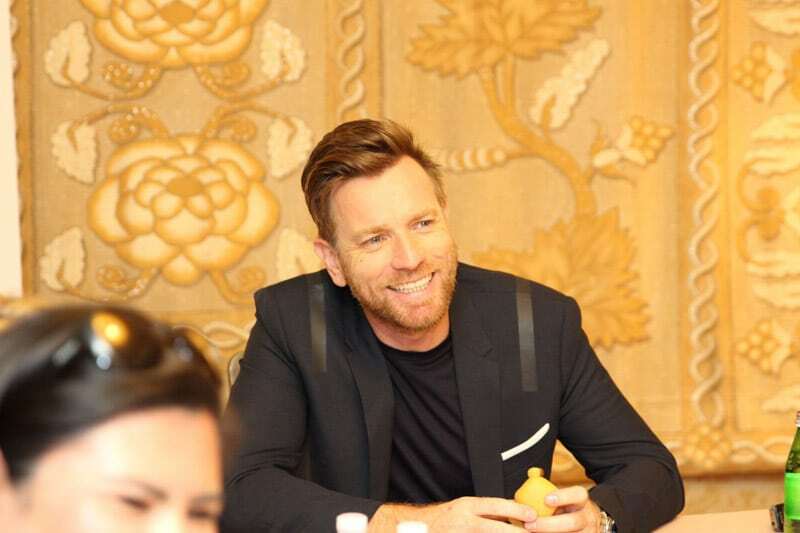 Pin this Interview with Ewan McGregor for later! It was a special day and interview, for sure!